When people talk about the big late night shows and the fights to be on top of the ratings, most of the conversation involves Stephen Colbert, Jimmy Fallon, and (if he’s only a particularly good political tear) Jimmy Kimmel. 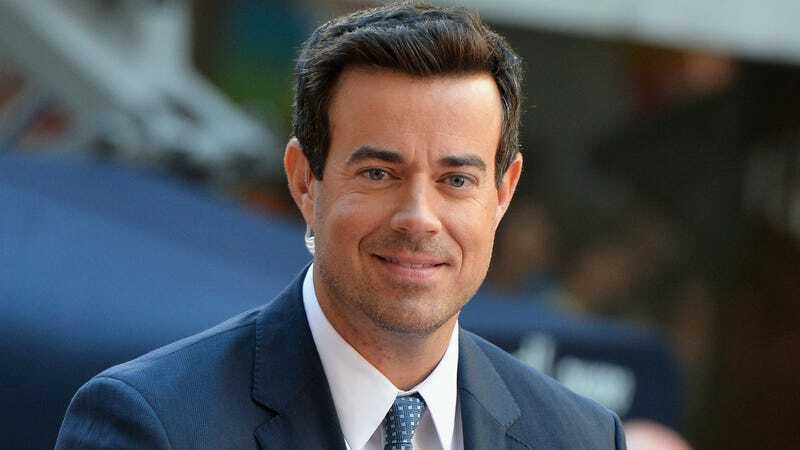 They don’t generally bring up Carson Daly, though, despite the fact that he’s apparently been plugging away on his NBC series Last Call since 2002. Unfortunately, the reason we’re talking about Last Call at all today is that Daly has announced that he’s bringing the surprisingly long-running show to an end after 17 years. According to Variety, Last Call will have aired 2,000 episodes by the time it ends its run, though NBC has not yet announced a finale date for the show or what will replace it in the all-important 1:30 AM weeknight time slot. (Hey, we have a theory on why Last Call doesn’t generate more conversation.) Daly, meanwhile, will continue his more popular hosting gigs on Today and The Voice. For those who somehow missed the entirety of Last Call because they were sleeping, the show began its life as a traditional talk show, with Daly interviewing people on a set, but it became more low-key after Daly was passed over for Conan O’Brien’s Late Night job with him dropping his audience and house band in favor of a documentary-style interview format. In 2013, the format changed again, with Daly just introducing interview segments that had already been conducted by producers. So he wasn’t really doing much anyway.